After World War I, German leaders encouraged the development of a new school to blend the power of industry with the insight of design. New industrial materials were utilized to fulfill the needs of the expanding urban society. The Bauhaus school represented revolutionary concepts on Art and Design as well as an inclusive social experiment. Whynne Schafer will discuss this and more with an in-depth look at the movement that shaped modern design. 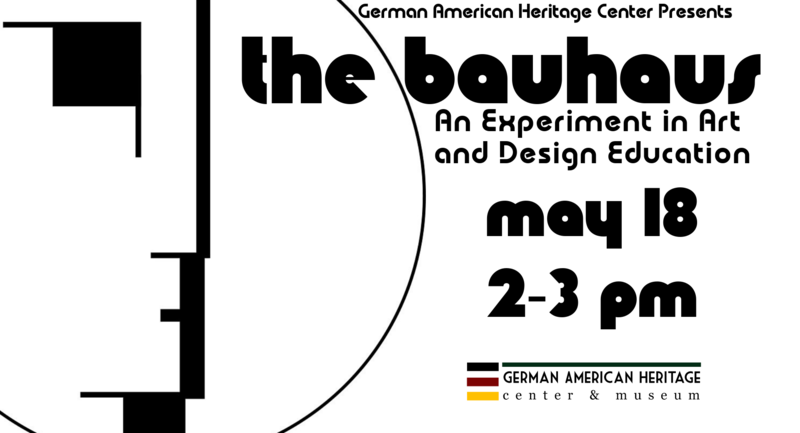 The talk will be on May 18th @ 2PM at the German American Heritage Center.